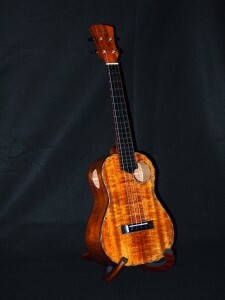 Here’s another Koa Ukulele that is available at Surfy Surfy (www.surfysurfy.net) in Leucadia, California. 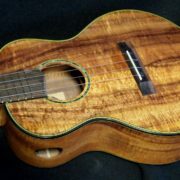 Solid Koa. 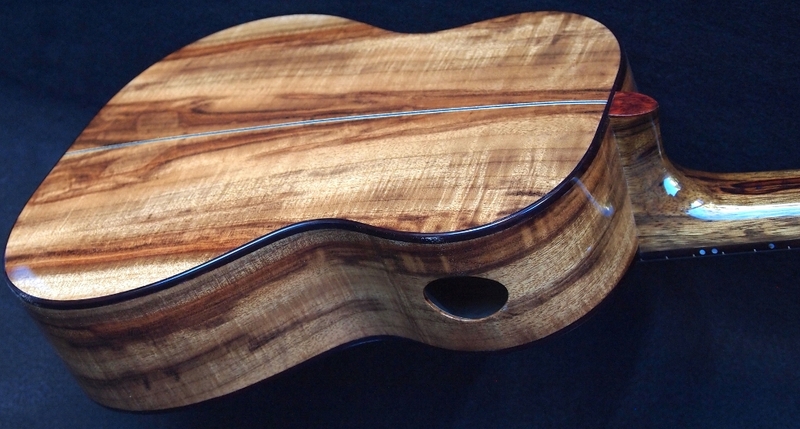 It exhibits an asymmetric sound hole placement (side sound hole as well). 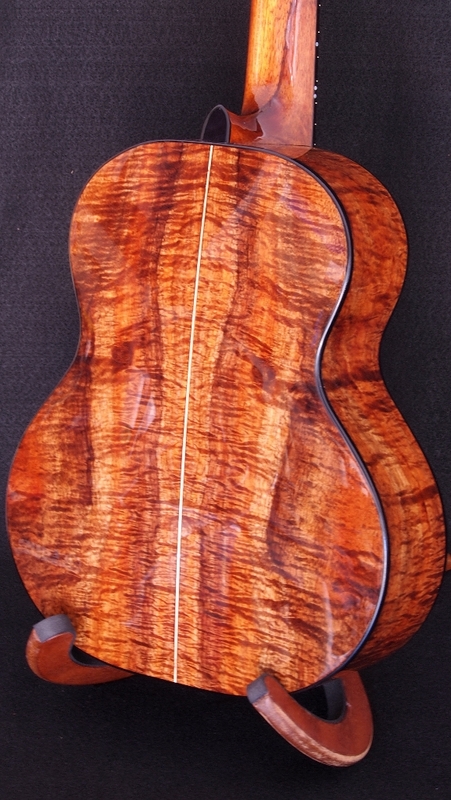 Binding is East India Rosewood and purfling is vintage style. 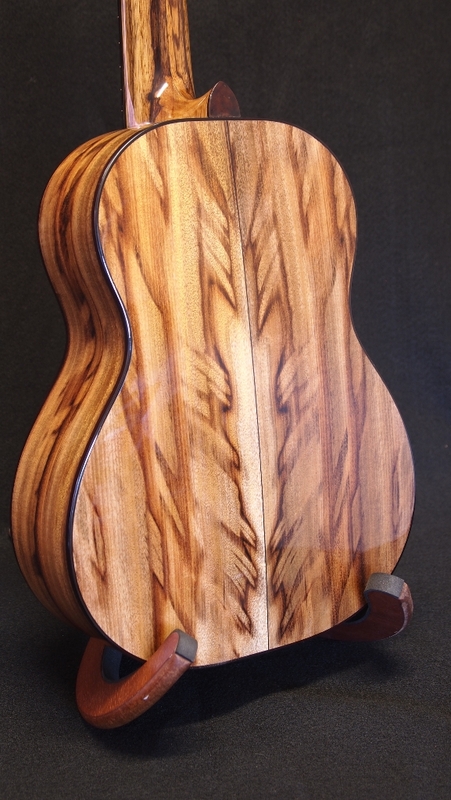 I really like this sound hole placement (as if you can’t tell!). In a blind test, this sound hole arrangement gives the player better feedback and does not interfe re with projection of sound–go figure. 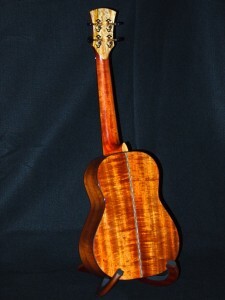 More on this subject to come.